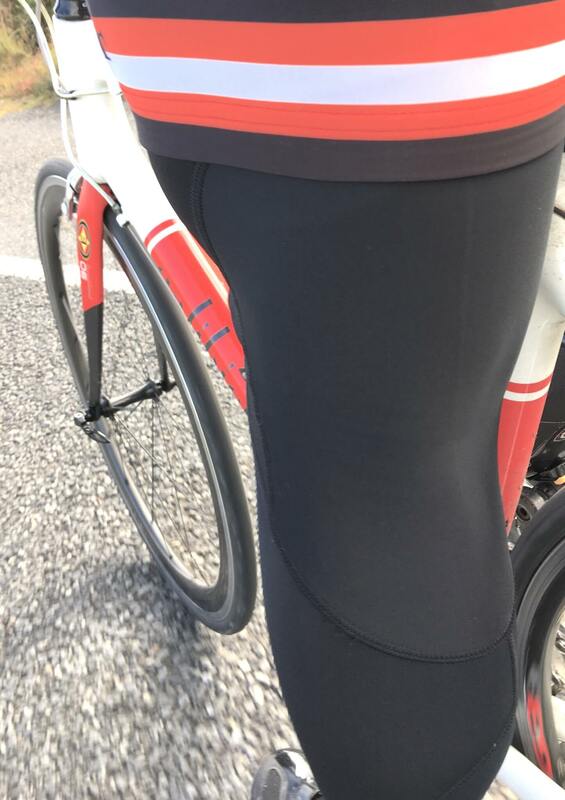 A warm Leg covering for cycling in cooler Spring and autumn days with a Shorts. 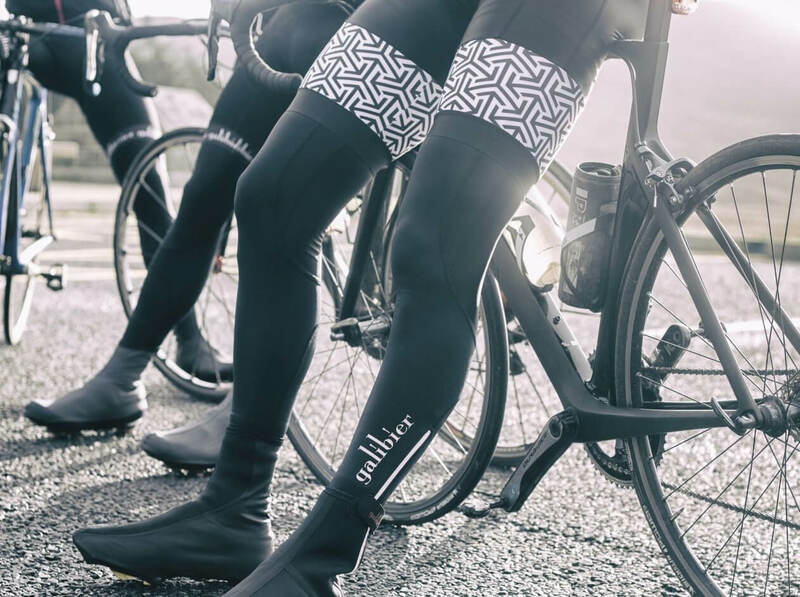 We tested 11 different leg warmers, picked the best features and indulged them into our Ardennes warmers. Made from 2 different fleece-backed fabrics, the materials are matched to the motion of the pedalling leg. These are ideal for when the conditions turn more hostile. With shaped left and right legs for comfort, the seams are moved to the side of the leg to prevent chafing. The zipped lower leg with an internal zip seal is placed at the ankle to leave the achilles undisturbed. The leg warmers have a 20mm silicone gripper top and 10mm bottom to hold them securely in place. 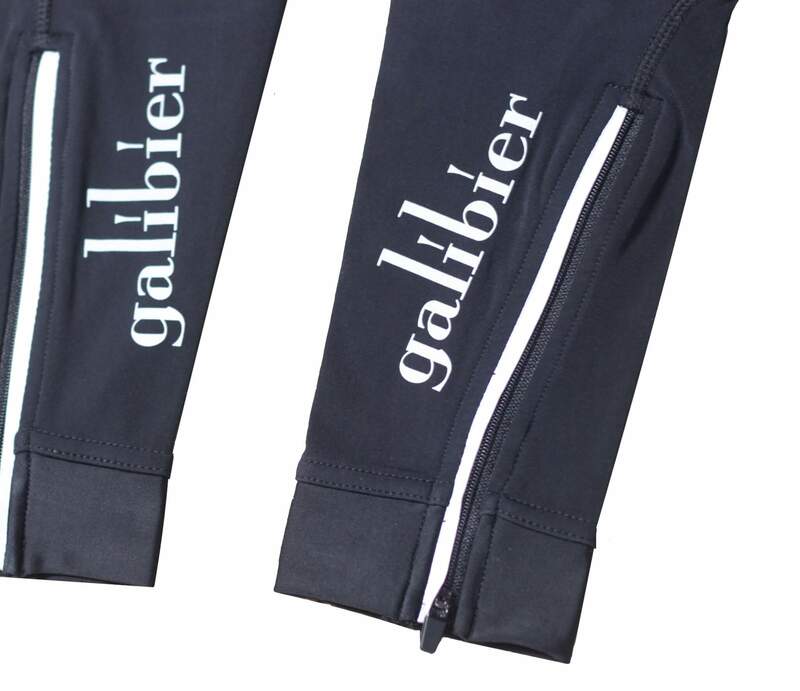 The leg warmers are finished with reflective zip cover and galibier logo for visibility. We designed a zipp sleeve to prevent the zip from being overstretched during fitting and keeps the ankle protected and draft free. 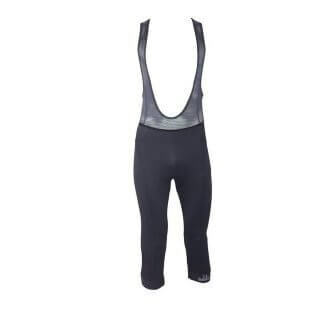 A Lycra panel is placed behind the knee for closer form fitting in motion. 1 pair. Left and Right specific. Constructed of Super Roubaix Therm, 4l Stretch Fabric, 260 and 290gram. 4 needle flat Stitching for Increases Comfort. High Resistance to Pilling and Abrasion. A nice warmer. Terrific attention to detail and build quality. After 3 uses I have ordered the arm warmers to match.! Great fit and feel and they stay put. Perfect for the early morning spins before it gets cold enough for the winter tights. The images do not do these justice. Fantastic design. Really love the way they are designed ‘pre bent’ and the fit so smooth.mI bought another pair for my son tonight. A really well thought out design of these legwarmers. Both the shaped back of knee and sealed zip section at the ankle are great features. Comfort of these is second to none, in fact I’d go as far as to say better than my more expensive Sportful ones. Definitely designed for the longer legged cyclist, the fit is just right for me. I have the XL, and they fit my rather large thighs and calves like a glove (well, like a legwarmer, actually!!). Once again, great quality kit at a great price from a great company. 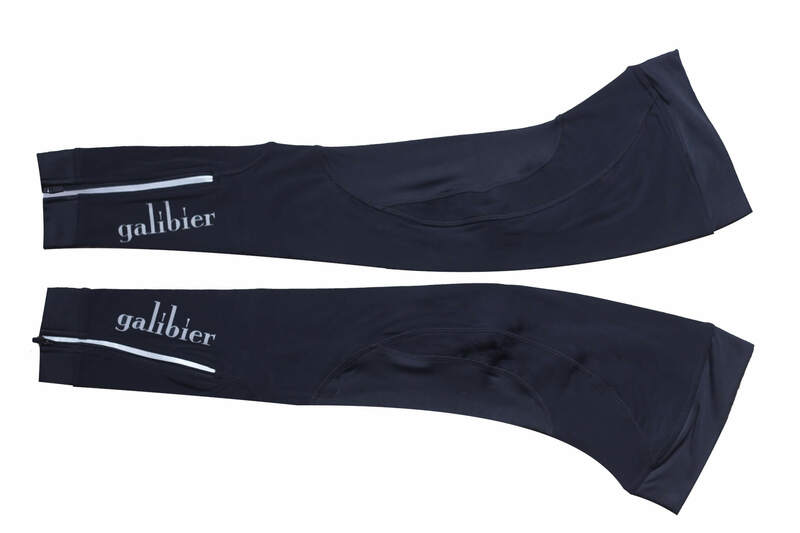 As others have said previously, why did i not discover Galibier before spending much more on cycling clothing elsewhere. They are fast becoming my go-to company for great performance clothing! Bought these in the shorts package. First ride over two hours in 4 degrees and kept legs nice and warm. Nice snug fit and look and feel like top quality items. Really comfortable to wear and if above freezing no need for bibtights if you have these. Very impressed with service too. Great anatomical design, easy to use. Totally essential! Excellent piece(s) of kit, great fit with the shaped back of knee section. No problems with staying in place due to silicone strip and lycra ‘cuff’. Small, but good point is R & L tag to avoid putting them on wrong leg, haven’t seen that on other legwarmers. Warm enough for cold’ish days, haven’t tested them out in very cold days yet but I’m sure will be fine with Roubaix fabric. Well worth getting a pair or two. 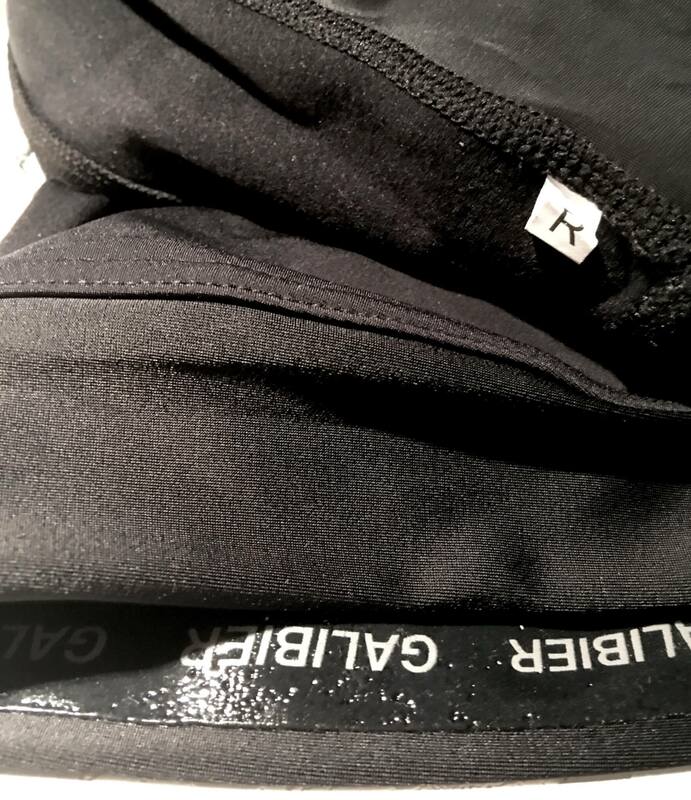 Wore these on an 80k cycle at the weekend – really comfortable, great design and stayed in place perfectly thanks to the grippers. Put them on, ride, enjoy. Had them on for nearly 12 hours at the weekend, and didn’t notice them one bit. Kept me warm (and therefore happy) on a gruelling ride. No need to repeat in detail what others have said. Well designed, excellent construction, and appears to be high quality. Keeps me warm even in light rain. As a reference for others who may have an oddball build like mine. I have thicker thighs and calves and usually wear 30″ denim. I need to buy loose fit or athletic fit when buying jeans. The medium I ordered is the best compromise. I would have preferred the length of a small but the width of a large. I bought these at the same time as the Ardennes Arm Warmers. Again the fit is close and feels tight & restrictive when you first put them on but soon goes away when riding and doesn’t impede on your riding style. If I’m being slightly picky the silicon gripper at the top of the leg can ‘pinch’ any remaining leg hair though it’s not too off putting. They are really nice and warm but do not seem to overheat when the temperature climbs after a cool start. Again, and I would say this about other Leg Warmers I have bought, the reflective logo’s/trim could do with being higher up on the Leg so they don’t get covered up by oversocks or overshoes. 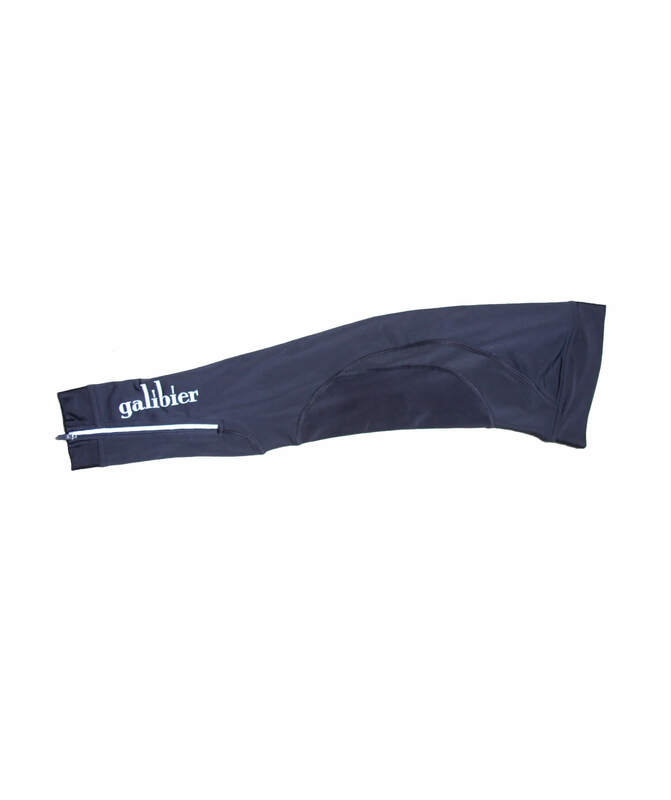 Otherwise a quality product and I can see myself buying more from Galibier. Agree with everything said below, as usual very please with my purchase from Galibier.Would definitely recommend. Really good. Don’t really notice that they are on. Definitely no Pinching. No. Overheating either. Thought I would say these are a great fit for me . 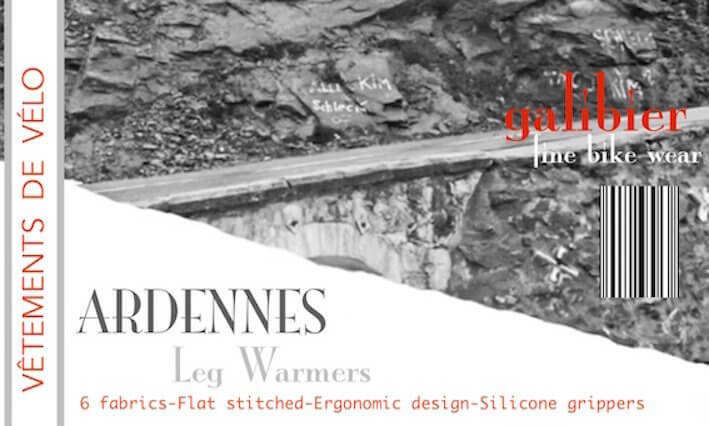 Not tries in anger as yet , but should be great , as all other galibier stuff that I have purchased has been top quality. These are really good leg warmers, great fit (Size L – 5ft10, 80kg), high quality, and excellent value. Perform just as they should, grippers work well and look good on the bike too. Keep the legs warm down to around 5-6*C then I opt for full bib tights.